For me, being a world-class presenter means being able to talk with absolute authenticity and authority, and delivering with passion. The aim is not to motivate but to inspire. In reality I have been a presenter for close to 30 years, whether it was teaching people to dive or promoting tourism internationally or even running marketing workshops for Small Business owners, I've never been far from a stage. When my first book was published, I was asked to present on Small Business success, and I have been presenting on this topic ever since. I have had the privilege of sharing my knowledge and expertise with hundreds of organisations, at conferences, retreats and special events throughout Australia and in the USA, Thailand, Malaysia, New Zealand, Hong Kong, India, Japan, Singapore and Fiji. 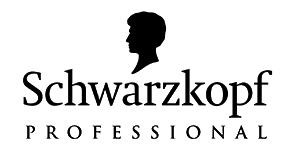 To get a feeling on how I might be able to work with you, please take a few minutes to explore the information down the page including some cool videos (I really like my animation), a few of my speaking topics, perhaps download my comprehensive speakers kit, check out some of my past clients and see what they have to say - and then after all of that, send me an email for more info about how much I charge and my availability. My commitment to you is this - if you trust me enough to book me for your event, I will do everything in my power to make it as hugely successful as possible. Ask around and you will find that my reputation really does speak for itself. Generally I speak about what it takes to be successful in business in the modern world. This can cover everything from business trends to marketing, customer service and pretty much everything in between. I particularly love presenting on themes that involve overcoming adversity, thinking big and inspiring others. Over the past few years I have spoken at hundreds of events around the world. I speak at small business events as well as corporate events. If you want your audience to be inspired, entertained and energised - then I'm sure I can help. To find out if I am a good fit for your audience, check out the videos below, some of the topics I speak about and the types of organisations I work with. Here I’m talking to 200 Small Business owners about getting ready for 2020. 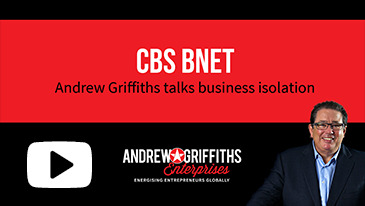 Here Robert Gerrish interviewed me for CBS on business isolation. 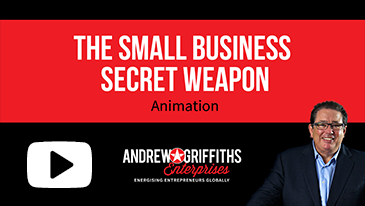 The Small Business Secret Weapon. I had a great time being interviewed by the Sunrise team. 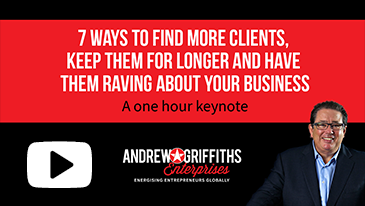 7 Ways to Find More Clients. I was asked to host a panel on Small Business resilience for CBSi. Good Morning NZ was a great experience. I got to talk about the Power of Storytelling to 500 BNI members in Sydney. My “BE INSPIRED” event in Cairns. CBSi Small Business Panel 2. THE 7 KEY STRATEGIES FOR SMALL BUSINESS SUCCESS IN 2020. There has never been a better time to do business, there has never been a tougher time to do business. 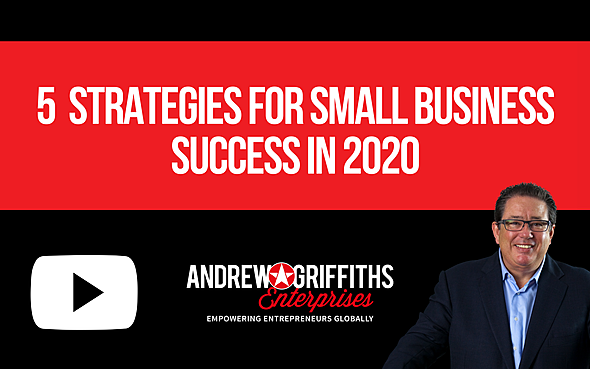 The key is knowing and applying the right strategies that will give your Small Business the competitive edge as we speed towards 2020. I travel the world talking to Small Business owners. I am a business commentator for inc.com out of New York, a columnist for Flying Solo and the founder of the hugely popular Small Business site - Smallville. In this stimulating keynote presentation I get the audience to clearly understand the changing world we live in and what they need to be doing to not just survive, but thrive in the coming years. BUILDING TRUST IN A CYNICAL WORLD. Trust is a key factor in determining whether or not someone will buy from our business. Today people err on the side of being mistrusting, and they have every right. Being a big company or a Small Business that’s been in operation for 30 years is no longer enough. We need to deliver the right message in an authentic and honest way, admit to our faults and failings, show that we open and transparent and be committed to becoming better in every way. For many industries it’s a matter of rebuilding trust, having done little to build it over many years. Consumers are very unforgiving today and if your organisation isn’t building trust every day, there will be serious ramifications. 7 STRATEGIES FOR DEEP, REWARDING CONNECTION THAT WILL COMPLETELY TRANSFORM YOUR BUSINESS. We are all too busy to stop and actually have deep and meaningful connection. We spend our lives connected to devices, we multitask all day, rarely focusing our full attention on any one thing or any one per son, and we all feel oddly disconnected. This is a wonderful opportunity. I am a highly charismatic man who is able to connect and engage on an individual level or with a room of 10,000 people. I am asked all the time how do I do it - and in this keynote presentation I will share my own personal strategies for creating deep and meaningful connection with everyone you meet. Warm, encouraging and deeply human, this is a powerful keynote for any audience. NO MERCY - THE STRATEGIES FOR SURVIVING A CORPORATE DISASTER. In this interesting and kind of gory presentation, I deconstruct a book called “NO MERCY” which identifies how groups of people change when in a disaster situation. To put it bluntly, it generally ends badly for the weaker members of the group. I have drawn a pile of similarities between people being caught up in a disaster scenario, with little hope of imminent rescue and a people caught up in a corporate disaster. Fun, entertaining, engaging and surprisingly practical for any corporate situation. SMALL BUSINESS INC - 7 STRATEGIES TO HELP BIG BUSINESS ENGAGE AND SELL TO SMALL BUSINESS. When it comes to BIG BUSINESS trying to engage SMALL BUSINESS, it generally doesn’t work. They communicate on completely different wave lengths, Small Business is not overly trusting of BIG BUSINESS and there are a world of misconceptions about both that actually prevent them from doing business in a meaningful way. As co-founder of Small Business MOB, a specialist corporate advisory firm that teaches corporate teams how to engage with Small Business owners, I am better equipped than most to show the corporate world how to get more Small Business customers, keep them for longer, encourage them to spend more and to refer other Small Business owners like them. THE ANDREW GRIFFITHS GUIDE TO RESILIENCE. I started life as an orphan. Abandoned by my parents when I was only 6 months old, my early life was a predictable journey of abuse and heart ache. Despite starting life in a way that no child should have to, I have gone on to become an extraordinary inspiration to thousands of people globally - through my books, my speaking - my businesses and most importantly, my attitude to life. It’s often said that I have every reason to be bitter or to be a victim, but within a minut e of meeting me, it will become clear that this could never of been a better role for me to play. If you want your audience to be inspired, energised, to laugh, to cry and most importantly to think - this is the keynote presentation for you. Now more than ever, we are realising just how important our reputation actually is. There was a time we could hide behind our business, be private and let our business do the talking for us, but that strategy no longer works. If you don’t tell people what you stand for, what your values are and why they should buy from you, they will make up their own story. We need to build a reputation that can stand the rigour of the modern world - and that takes time, energy and commitment, but we all need do it. A bulletproof reputation is the best insurance policy for when things go wrong in your business. WHAT I’VE LEARNED AFTER 30 YEARS IN BUSINESS. Being a successful Small Business owner for 30 years means I have definitely learnt a thing or two along the way. Today, as a bestselling business and entrepreneurial author, with 12 books sold in over 60 countries, I compare not only my own learnings, but also the experiences of hundreds of thousands of Small Business owners around the world, to share what are the key lessons to succeed in business. These are not what you think - and they will certainly challenge traditional thinking. IT’S TIME TO REINVENT THE CUSTOMER EXPERIENCE IN EVERY WAY. One of the single biggest shifts in the business world in r ecent years has been the shift for consumers, where they are moving from accepting transactions to demanding experiences, whenever they spend their money. Customer service means a whole different thing today to what it meant 10 years ago and most businesses are struggling to adapt to their customers expectations. Failing to master this is a sure fire recipe for disaster. 7 STRATEGIES FOR STAYING SANE WHEN IT FEELS LIKE THE WORLD IS GOING CRAZY. Let’s be honest, there are times when we all feel like it is getting to be too much. We are overworked, fearful about the future, torn apart in a hundred directions and generally feeling like we’ve had enough. How do we stay sane when it feels like the world, and everything in it is going crazy? I have certainly had my share of ‘crazy’ to deal with. In this open and honest keynote I share how I’ve stayed sane, what I have done, dealing with some of the most challenging situations any person would have to deal with and come out stronger every time. A great keynote to motivate and inspire any audience. IT’S TIME TO TELL A MUCH BETTER STORY. There is a lot of discussion about storytelling, especially in the world of business. The problem is that it needs to be more than a discussion. Businesses both big and small need to learn how to tell better stories about what they do, who they are, what they stand for and why people should buy from them. Everywhere we turn, smart businesses have taken control of the storytelling space and for most, this has become the backbone of their marketing and communication strategy. I am a Master Storyteller. I have told my stories on stages all around the world, in my international bestselling books, in the media and in a powerful TEDx talk, to mention just a few. In this keynote presentation I’ll share my views on why it’s time to tell a better story and most importantly, how we actually need to tell these stories. Need a sensational MC for your conference or gala event? Over the years I have MC’d everything from week long conferences to national award ceremonies, and everything in between. I love MC’ing and I am totally committed to making your event a huge success. Of course I like to have fun with the audience, but I can also manage panels, as well as commentate and deliver content in more corporate environments. I would love to talk to you about MC’ing your event. 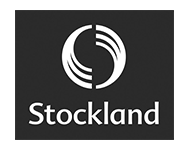 "The feedback from everyone who attended your session was excellent. And best of all, everyone was inspired to take action." 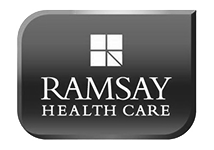 "The presentation was terrific and well received by our guys, thank you. I hear our team talking about the personal nature of your beliefs on success which provided us all with thought provoking take aways." "Feedback has been sensational! A lot of ‘thank you for another great event,” “best lunch ever,” and the icing on the cake, “a great message, more of Cairns need to hear it!" "The Program Development Committee spent 15 months finding the right people to create a memorable program. Clearly they made a great choice in selecting YOU." ~ Jennifer A Borislow, President, Million Dollar Round Table, USA. "Andrew Griffiths brought incredible insight to our Mastermind Community. His message was strong and his values aligned perfectly with our organisation. Everyone present walked away with new goals and a growing desire to “Give”. Andrew himself was inspiring, engaging, on message and fun." "Inspirational, gutsy, dynamic and creative are just a few words that I use to describe Andrew Griffiths.Not only does he have extraordinary information to share with his audiences but he holds his own by bringing passion to the stage and more importantly, he balances the strength of his presentations with authenticity and a warm generosity that is appreciated by his audience." 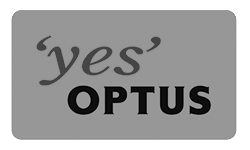 "A short but very sincere note to thank you for a mighty presentation at our recent conference in Cairns. It was important for us to have our delegates inspired on the second morning of the conference and you certainly managed to achieve that objective. But you also left us all with a lot to think about, during the conference and beyond." ~ Mike Canon, Executive Director, Association of Australian Convention Bureaux Inc.
" To give you an example of some formal feedback from your main platform session, ‘exceptional and powerful speaker, reflection is vital, excellent and very inspirational’. We also appreciated your assistance with the panel. Your valuable insights and wrap up of the day worked a treat to link everything together, fuelled by your buoyant personality and enthusiasm." "Andrew was brilliant to watch – I could see the lights going on around the room." "Andrew Griffiths is a leading presenter and mentor at our events, where we have up to 700 people attending. He is an extraordinary presenter, passionate, engaging, extremely knowledgable and funny. He is the essence of everything we promote in the Key Person of Influence Entrepreneurial program." "Andrew it was great to meet you last week. We really appreciated your outstanding conference hosting/MC skills - I understand how much effort and energy goes into these processes (so to the audience it looks simple and flows seemlessly! You made an enormous difference to our conference." 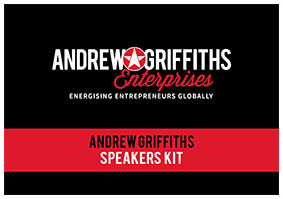 "Despite being asked to present the last session of the day for two hours straight, Andrew delivered a dynamic presentation titled “Presenting Like a Pro, amateur hour is over.” Andrew delivered clear, strong and practical messages in a most engaging manner with great use of humour to keep the groups attention." For speakers who mean business! As a result of the overwhelming success and continued demand of my workshops on The Business of Being a Professional Speaker, I have developed a very cool resource for aspiring presenters, people who love public speaking, and professionals who make a living out of delivering a powerful keynote address, it's called Speakerville. To contact me about speaking at your next event, please provide a few background details below. please tell me a little about your theme, audience, target market and any other requirements you may have.